Maruti Suzuki India, the largest passenger car maker in India is feeling the heat of the petrol price hike in India with the sales of small petrol cars dipping. The small petrol cars by Maruti has been its major sellers in the past but they seem be loosing their charm gradually with the running cost of petrol cars on a rise with the petrol prices. Popular small cars like Maruti Alto and Estilo have recorded dip in sales because of which the inventories of petrol cars with Maruti Suzuki have accumulated beyond the usual levels of 3 weeks to 4.5 weeks. To balance the inventory levels at Maruti facilities, Maruti Suzuki India has cut down its production for 3 day sin past one month (from May 25 to May 26 and on June 2). This production cut in the small petrol was approximately around 8500 units. While Maruti Suzuki has seen dip in the demand of small cars, but diesel cars are selling much better than before because of buyer’s preference for lower running cost of Diesel cars. Maruti Swift and Dzire diesel are the most demanded cars from Maruti’s stable as per their recent car sales data of May 2012. Also to compensate for the dip in the sales of small petrol cars, the rise in the sales on newly launched MPV Maruti Ertiga and high demand of new Swift and Dzire has made up for the dipping sales numbers to conclude May 2012 sales at about 5% drop compared to May 2011 sales numbers. Maruti Suzuki is constantly working on its newer products to deliver more and more fuel economy compared to the old generation models with improved engine technologies, weight reduction and improving other factors. 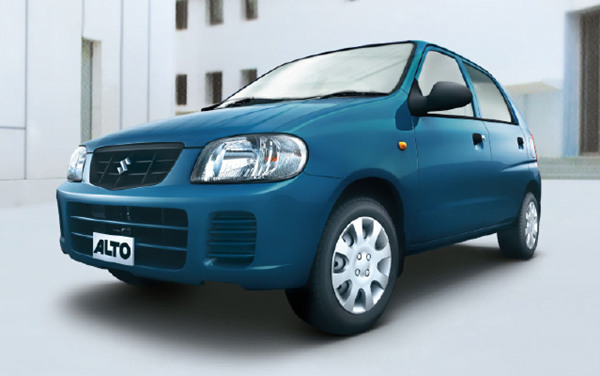 Maruti Suzuki is working on a more fuel efficient and larger car to replace Maruti Alto 800 CC by November 2012. This new car will deliver a mileage of over 20 KMPL with larger interior space and better visual appeal. Higher mileage will bring some relief to the petrol car users to cut the running cost which is one of the main reasons behind the slowdown in petrol car sales in India. Apart from developing new small petrol cars with more fuel efficiency, Maruti is also investing huge sums to increase its diesel engine plant capacity and develop small diesel engine for its popular small cars like Wagon R. It will take a few years for these plans to be executed, but with the rise in demand of diesel cars, it does make good sense to move ahead in the direction. Most Indian car makers are working on increasing their diesel car capacity to meet the increased demand for diesel cars. Recent developments of the Government planning to implement special excise duty on diesel cars may bring another dip in overall sales and slowdown in Indian car market if the price hikes are implemented. We will keep and eye on the developments and will bring you latest updates on the same, so stay tuned.